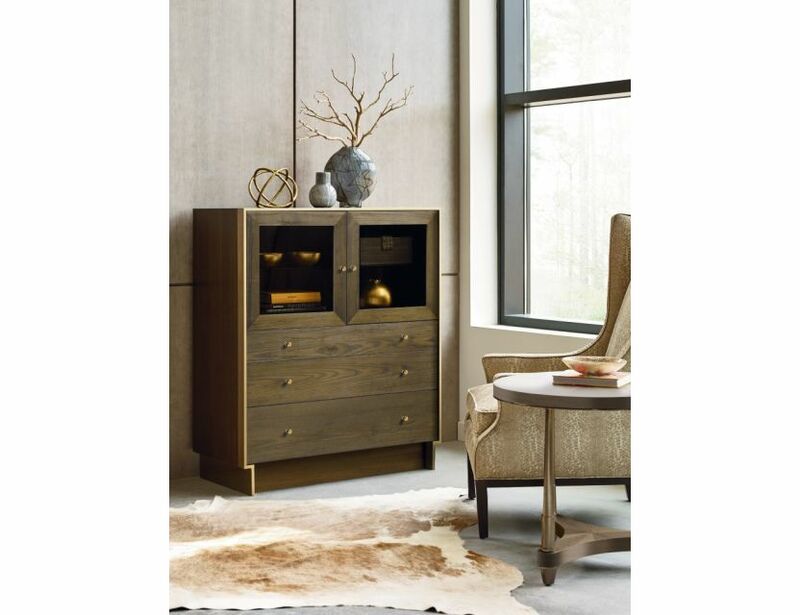 For storage and display this should be the piece for you. 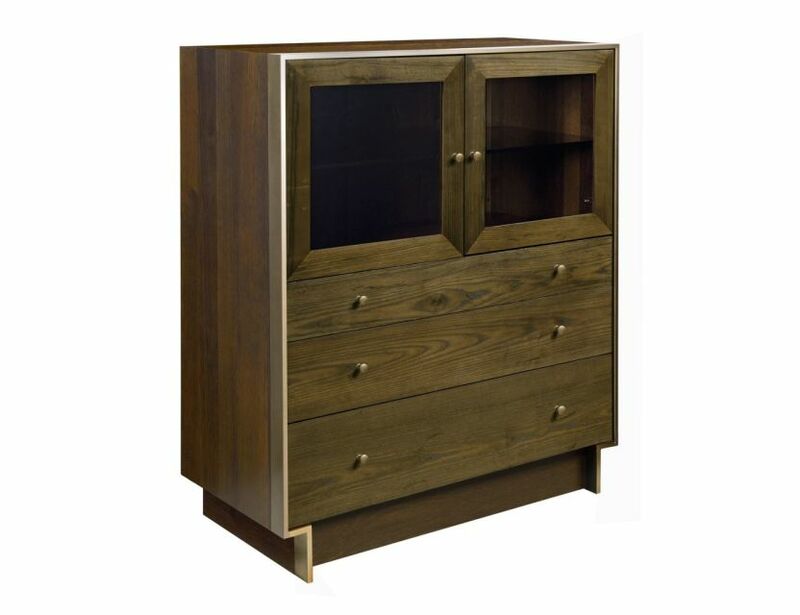 Laurel bunching cabinet has two doors with adjustable tempered glass shelf and three drawers below with the bottom having a cedar lining. 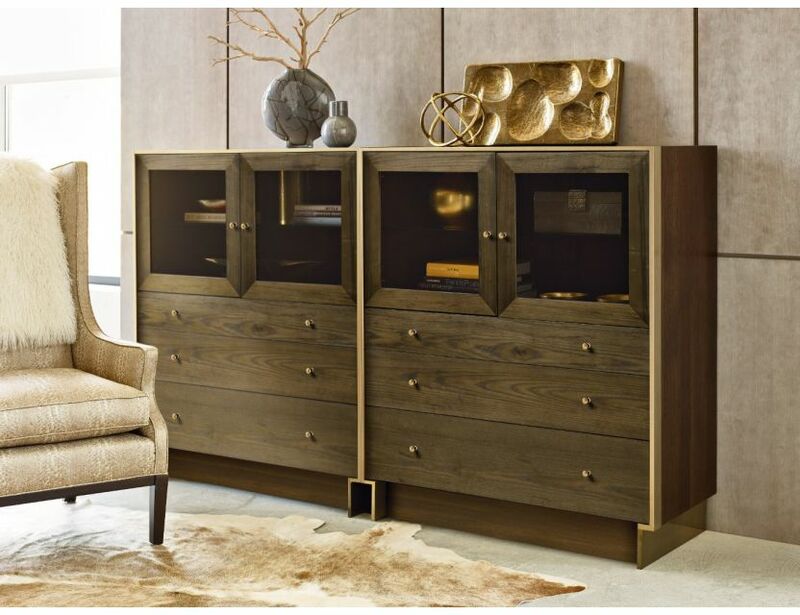 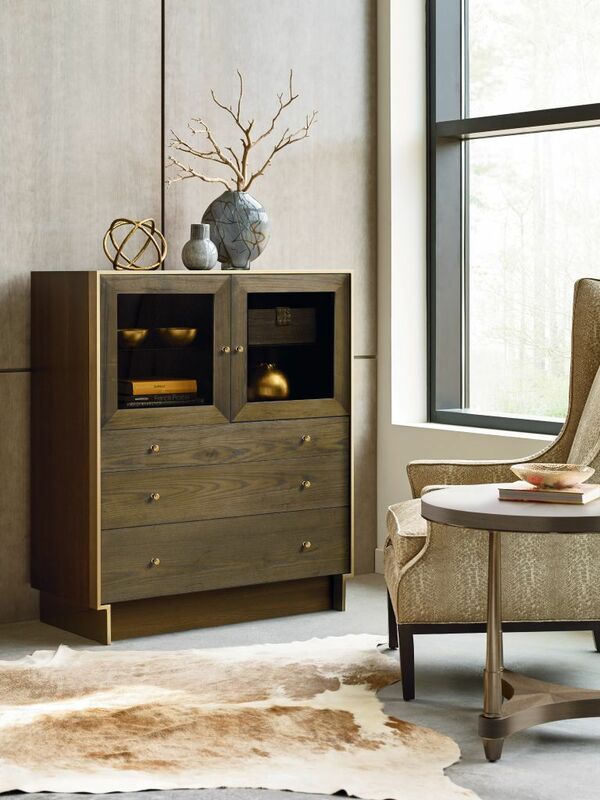 Trimmed with a metal frame makes this contemporary cabinet perfect for any setting.